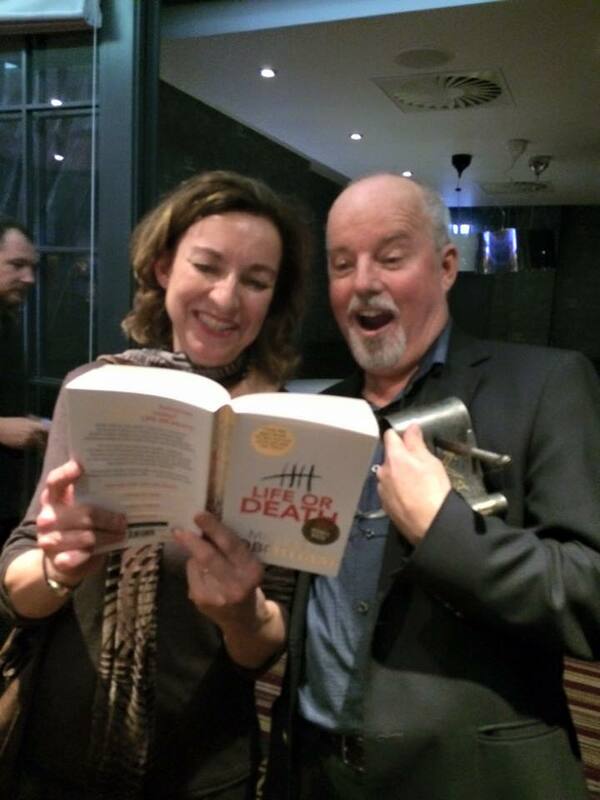 Crime Watch: Michael Robotham wins Gold Dagger! Michael Robotham wins Gold Dagger! In breaking news, Australian crime writer Michael Robotham has been named the winner of the CWA Gold Dagger in a ceremony in London taking place tonight (my blog's on NZT, so it shows Wednesday morning but it's Tuesday night here in London). Congratulations to Michael - LIFE OR DEATH is truly a masterpiece of crime writing. I was fortunate enough to interview Michael about the book last year for the New Zealand Listener, and even back then I could tell it was something truly special. I'm very glad that the CWA has recognised it, in what is a pretty tough category, with the likes of Stephen King, Belinda Bauer and Robert Galbraith (aka JK Rowling) also in the mix. Michael is a truly great ambassador for crime writing from our part of the world, being heavily involved with the Australian Crime Writers Association, and regularly visiting New Zealand, including being part of the Ngaio Marsh Award presentation in 2012. You can read my review of LIFE OR DEATH here. If you haven't read it yet, I highly recommend you shoot down to your local bookstore or library and grab a copy. You won't be disappointed. Thanks to Ali Karim, Programming Chair of Bouchercon and Criminal Man About Town in London, for allowing me to share his photo of Michael with his Gold Dagger Award and winning book (above).